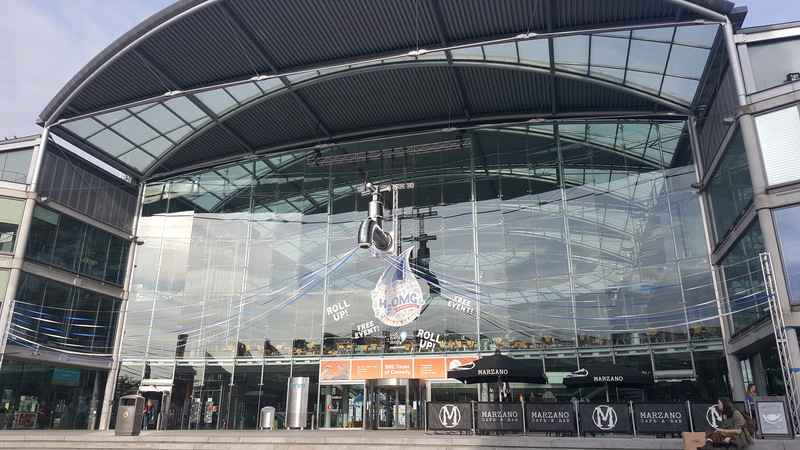 This August saw Spring’s launch of H2OMG, a family funfair themed event at The Forum, Norwich for Anglian Water. 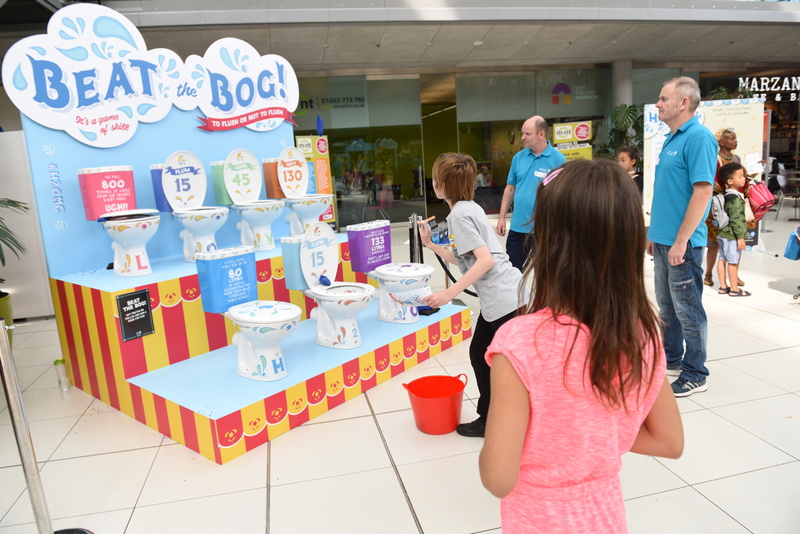 The event promoted Anglian Water’s work towards water sustainability and consisted of numerous stalls such as a Water Wheel of Fortune, a Magnet Maze and my personal favourite, Beat the Bog – a bean bag game that revealed facts about water usage on toilets. Did you know Anglian Water generates power from sewage? Or that power showers can use up to a whole day’s worth of water? 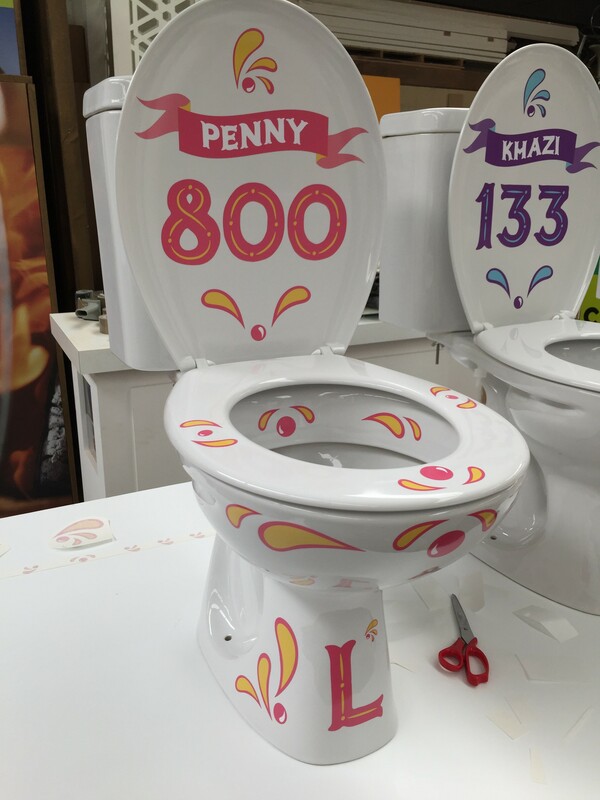 I had the privy-ledge of working on the toilet names and designs as well as overseeing the application of the graphics. 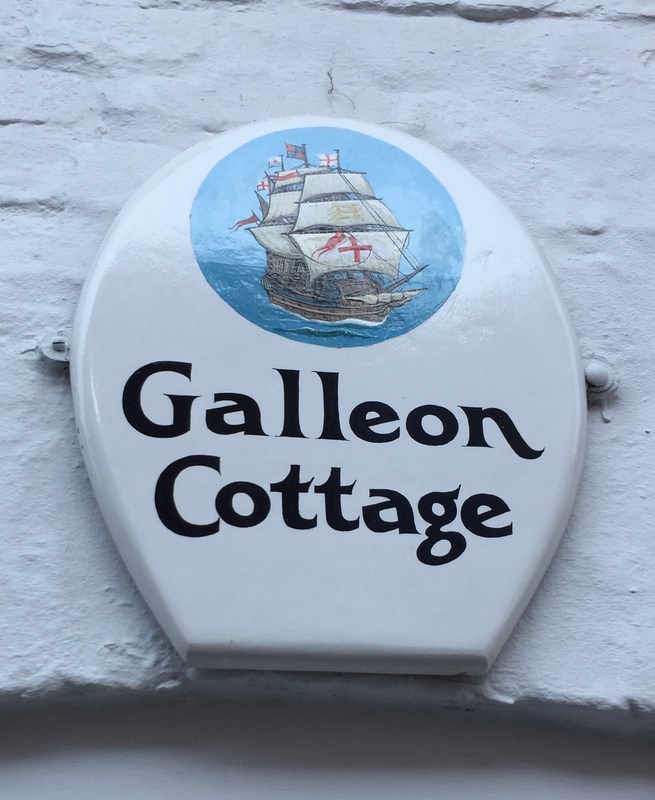 Now just a few weeks later I happened to notice that decorating toilets is by no means something new to the residents of Church Street. 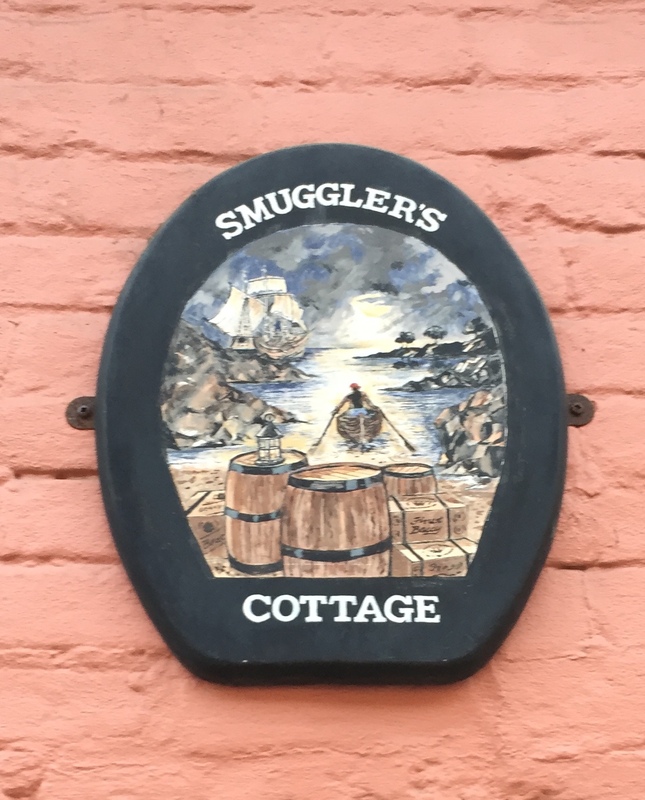 In fact, just outside our HQ there are two cottages marked by ornamental bog tops! 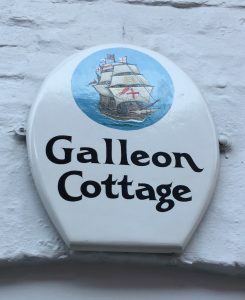 If there are any Southwold Historians who happen to know how painting pottiess on Church Street came to be, I would love to know! In any case, I’m proud to have played a part in keeping up the tradition. Long live the loo!